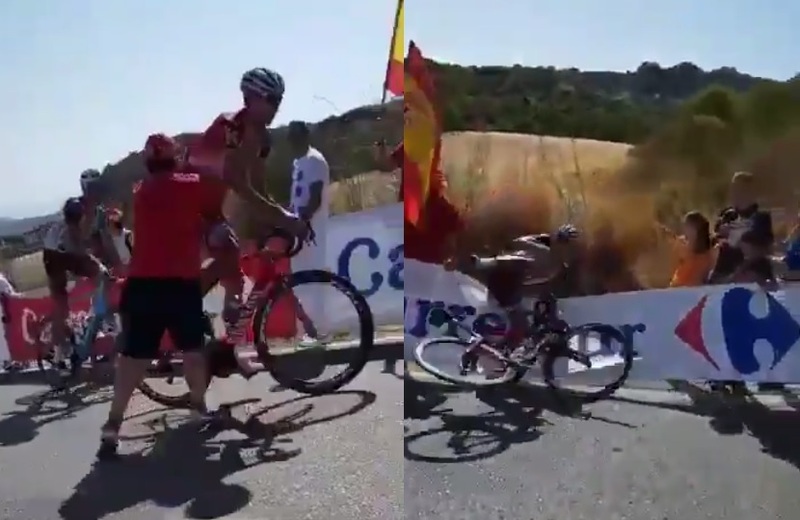 Check out this video of Katusha professional Maxim Belkov getting assualted by a spectator about 1km before the top of a mountain at this year’s Vuelta a España. It appears as though the spectator’s actions were deliberate and aimed specifically at the Russian rider, before being promptly arrested by the Guarda Civil. This entry was posted in Behind the Scenes, Video and tagged Crash, Video, vuelta.